There is a vast array of conveyor designs on the market today for moving dry bulk solids. The distinct characteristics and unique features of each have pros and cons pertaining to performance, efficiency, and overall effectiveness. It is important to understand that every material is different. Previous success handling a powder in a screw conveyor does not mean the same approach can be applied to a similar-looking powder utilizing the same screw conveyor. Material quality requirements must be considered in any conveyor choice. 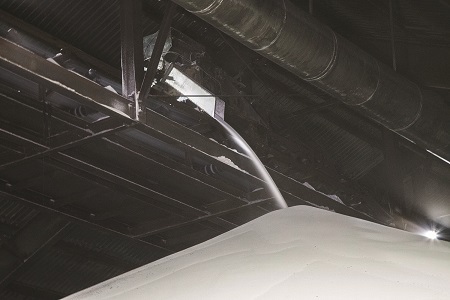 Particle attrition and material degradation are among the natural consequences of certain conveying methods that can negatively impact overall quality. Over the last decade, industrial manufacturers have had to contend with uncertainty as global demand for products has grown at an inconsistent and often slow pace. With total output in 2016 at just 3.1% and 3.4% in 2017 (1), there are clearly no guarantees for significantly increasing profits. In a slow-growth environment, achieving notable gains in productivity is key (2). Finding a reliable way to make those differentiating gains is critical. Industrial manufacturers can best serve their customers by designing tools and implementing equipment that can measurably enhance an operation’s efficiency, lower costs, and improve performance. They have an opportunity to profit from innovation strategies that build upon advanced manufacturing concepts and reliable equipment. To achieve ongoing gains, manufacturers must become more aggressive and deliberate in their investments. U.S. machine shops and other manufacturers’ new orders for capital equipment increased for the third consecutive month in October 2017, rising to more than $428 million (3). The new figure represents a 6.3% increase in spending over the September total and a 21% increase over the October 2016 results (4). Through 10 months of 2017, the U.S. Manufacturing Technology Orders Report shows new orders for machine tools at $3.6 billion, up 7.6% versus the January-October 2016 total (5). For some businesses, the message is clear: Invest in new equipment and new processes to set yourself apart from the competition. In a slow-growth economy, this is a proven strategy for success. Investing a sizable sum of capital funds into new equipment may require product research and several layers of management to sign off on the purchase. Still, there’s little doubt that mistakes are made. When they are, it can be a costly misstep to overcome. In the case of a conveyor, given the wide scope of its use in many diverse manufacturing operations, this equipment can create a more efficient operation, allowing for increased capacity and production volume, and minimizing waste and downtime. These traits can bolster a business’ annual profits. However, conveyors are subject to the same pitfalls as any other major piece of manufacturing equipment. Choosing the appropriate conveyor requires a detailed process review, a thorough analysis of data, the vision to recognize new opportunities to improve, and the willingness to embrace innovations that make it possible to take advantage of those opportunities. There is a vast array of conveyor designs on the market today for moving dry bulk solids, each with distinct characteristics and unique features that offer notable advantages. Whether it’s a screw conveyor or an en masse conveyor tasked with moving coal or flour, each equipment choice has pros and cons pertaining to performance, efficiency, and overall effectiveness. The process of selecting the right conveyor should focus on choosing the option with the least number of undesirable consequences. Variables such as predictable faults, preventable faults (via a strategic PM plan), and well-tolerated or most easily mitigated challenges should be considered in every equipment decision. Engineers often fail to recognize how selecting the wrong conveyor can compromise the product quality, efficiency, and system reliability they worked so hard to attain. 1. Material. The most important thing to understand about handling material on a conveyor is that every material is different. Previous success handling a powder in a screw conveyor does not mean the same approach can be applied to a similar-looking powder utilizing the same screw conveyor. Materials that appear to be almost identical often behave quite differently. Failure to possess a complete understanding of the material being conveyed – including how freely it flows, if it packs under pressure, or whether it has abrasive, corrosive, or flammable characteristics – can lead to unwanted setbacks. 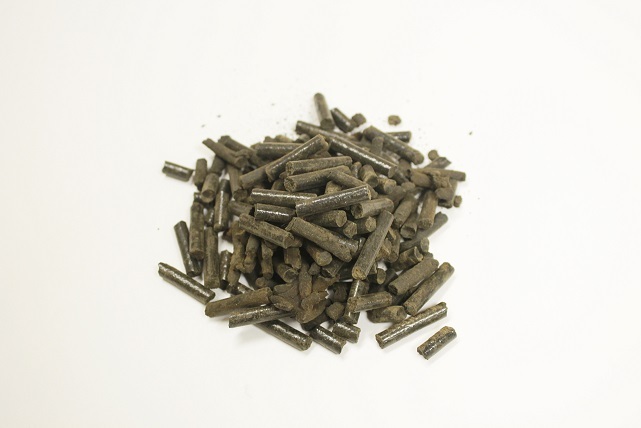 One challenge when handling pellets, prill, or seeds is determining whether a material is friable. In some products, particle attrition can severely impact quality. 2. Process Environment. Some considerations are more impactful than others, but perhaps none are as important as the safety of the environment around the conveyor. Containing hazardous dust, ensuring compliance with air quality standards for worker safety, meeting National Fire Prevention Association (NFPA) requirements, and operating within acceptable noise limits are just a few of the critical considerations that must be made to avoid workplace injuries or significant regulatory fines. In addition to safety, the surrounding environment can negatively impact a conveyor’s operating efficiency or the quality of the material being handled. Corrosive vapors can degrade conveyor components or react negatively with the material being conveyed. High humidity can cause material to become less free-flowing; to cake, pack, or build up on conveying surfaces; or to inhibit efficient discharge at planned points. When conveying from interior to exterior points of a plant, condensation can occur with changing temperatures during different times of the year, which may be especially problematic when handling hygroscopic powders. 3. Duty Cycle. Understanding the duration of actual run time versus standby time is essential to an efficient operation. When the duty is low, the first inclination may be to go with a lower-cost conveyor. However, weighing the cost of downtime is extremely important. One conveyor within the stream of mission-critical equipment experiencing even a minor problem can bring a plant’s operation to its knees. Do not simply look at a conveyor’s singular process, but rather at how it impacts the entire process system. 4. Performance. The rate at which a conveyor needs to move material is a simple calculation that is seldom forgotten. Yet, too often there are other important performance indicators that come to light after the conveyor is installed and falling short of requirements. Particle attrition, segregation of blended materials, and packing of sifted materials are natural consequences of certain conveying methods that can negatively impact the process and overall quality. It is imperative that material quality requirements be considered in any conveyor choice. 5. Tunnel Vision. During the search for a conveying solution, purchasers can focus their attention solely on a particular problem. Trying to solve a singular issue with little to no consideration for other variables or potential downfalls increases the likelihood of identifying the wrong conveyor as the best solution. While it is a legitimate strategy to prioritize process concerns and to intentionally compromise on certain performance characteristics to gain others that are more important, this approach leaves a lot to chance and can result in being stuck with a one-dimensional solution. 6. Stakeholders. While this pitfall is completely avoidable, it nonetheless occurs when essential input from different parts of the operation is not gathered, diminished in importance, or ignored outright. The task of a conveyor manufacturer is to deliver the best solution from all points of input, which means interacting with customer representatives in purchasing, process engineering, operations, and maintenance. Ideally, internal project objectives are agreed upon in advance of the conveyor purchase, particularly with respect to any strategic compromises that have been made. A final purchase decision that doesn’t include input from all of the plant’s critical areas becomes a major problem when the new equipment arrives at the facility and must be retrofit or replaced to address overlooked needs. At a glance, selecting a conveyor system may appear to be as simple as matching up the specific material with calculations of distance and speed, while keeping everything within the imposed budgetary limits. Getting the choice right the first time involves a systematic evaluation of variables that impact the operation, as well as the specific objectives set by process engineers. Conveyors are often required to operate non-stop for 24-hour periods, seven days a week, for weeks at a time. Even the best conveying systems can be negatively impacted by seemingly insignificant variables such as room temperature, vibration, humidity, and the presence of slow-acting corrosive elements. The process of choosing the right conveyor involves a detailed evaluation of the six key indicators discussed earlier. The process begins with evaluating a sample of the material being handled. This helps determine which material characteristics pair up best with a specific conveyor model. * Material Name: Many materials go by more than one name and can be confusing. * Flowability: The most important characteristic to understand about any solid material. Descriptors include free-flowing, average, and sluggish. * Temperature/Moisture Content: This provides important insight into flowability or cohesiveness. Taking every possible measurable piece of information into account when building a strategy for conveyor use is necessary to minimize the impact of possibly unforeseen disruptors to the process. This proven approach ensures a custom conveyor plan for accommodating specific materials, as well as special considerations for the operating environment, duty cycle, performance expectations, and the requirements of all stakeholders involved. While the number of key factors impacting conveyor choice can become overwhelming, taking the time to understand these variables in partnership with a trusted, experienced supplier will improve the potential for identifying the best conveying technology available. 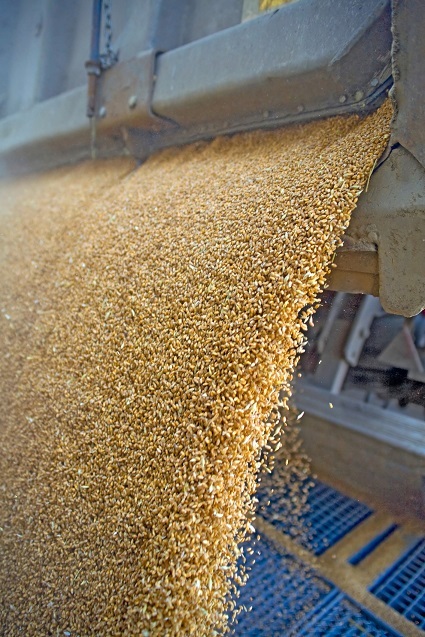 Matching the conveyor to all of the conditions unique to a process will ensure the best opportunity for ROI and ongoing profits. Choosing the right conveyor requires looking at variables that play to each option’s strengths or weaknesses. There is no one-size-fits-all solution; companies must pair up material with the conveyor that offers the highest calculated probability of doing the best job. This requires a thorough understanding of the task at hand and the materials to be moved. Don’t fall into the trap of regarding a conveyor as just a conveyor and not a piece of processing equipment. Taking the time to wholly define conveyor needs, and to determine how well various conveyor types satisfy each one, will ensure the very best buying decision and lessen the likelihood of living with or struggling to overcome unintended consequences. Conveyor manufacturers offering more than one conveyor type are a good resource for the information necessary to make a head-to-head comparison between several technologies. This includes discussion about the advantages and limitations of each conveyor, as well as the costs to purchase, use and maintain each piece of equipment. Joe Zerbel is a senior project manager for Hapman and has more than 25 years of mechanical conveying design and application experience. Hapman is a global leader in the design and manufacture of equipment and systems for bulk material handling. For more information, contact Zerbel at [email protected], call 800-427-6260, or visit www.hapman.com.